You are here: Home > Let’s Loop Sarasota/Manatee! In the next few months the Chapter’s advocacy efforts will pay off in the looping of a facility that will have a very beneficial effect on our two-county area. We will announce that when the process is implemented. 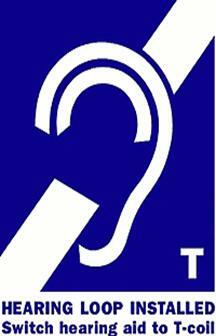 Hearing loop advocacy is expanding our ability to “hear” at public events throughout the country. HLAA’s favorite comedienne, Gael Hannan, wrote a piece in Hearing Health and Technology Matters last month that gives more understanding to the hearing loop. But while I was there, magic happened. The Lied Center, the performing arts venue at the gorgeous University of Kansas, has celebrated its 25th anniversary by installing a comprehensive looping system. I had the honor of delivering the inaugural presentation in the newly accessible theater. From now on, Lied Center audience members with telecoil-equipped hearing aids and cochlear implants can, with a flick of a switch or a tap of a button, hear the sound of every voice and musical instrument made on stage right in their devices, anywhere they choose to sit. The system closes the gap between speaker and listener; rather than riding on sound waves across the distance to a hearing aid’s receiver, the sound is transmitted directly through looping technology. Eliminating background noise, the sound presents itself with such clarity, it feels as if you’re thinking these sounds. Telecoils and induction loops restore the intimacy of sound and speech and music that many of us have lost along with our hearing. And this is as magical as going somewhere over the rainbow. 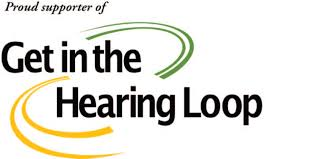 Juliette Sterkens, an audiologist and one of the world’s foremost looping advocates, provides more information on [link] the Loop Wisconsin site about how looping systems work with telecoils in hearing aids and sound processors. And it was thanks to the expertise of the amazing Ms. Sterkens, the equally-amazing Richard McKinley, whose company, Contacta, installs looping systems around the continent, and strong lobbying from the local hearing loss community, that the Lied Center has joined the ranks of fully accessible theatrical venues. For my presentation, the crew installed a separate, temporary loop on the stage, so that as a performer with hearing loss, I could switch to telecoil and hear my own voice clearly. Musicians use a different system to get the same result, which is to hear themselves over the loud noise of the other musicians and a screaming crowd. If you can’t hear yourself, you won’t say the words or sing the way you’re supposed to. There was no screaming crowd or background noise the night I presented, just me alone on the stage, talking. Somebody coughed a couple of times, I think. But it was full-on access: in addition to the loop system, there was an English-ASL interpreter and real-time captioning (CART) provided remotely by a captioner, who apparently wasn’t in Kansas anymore. Isn’t technology simply magically mind-blowing? The only reason for an audience member not be engaged, to fall asleep, was if I bored them unconsciousness. Some people don’t want to be a bother, but countless others simply don’t know about the simple magic of telecoils and looping. Asolo Repertory Theatre patrons with hearing problems will be able to make use of the new hearing loop system that has been installed in the 500-seat Mertz Theatre in the FSU Center for the Performing Arts. 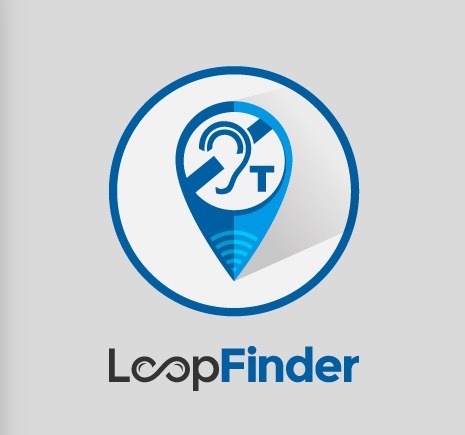 A hearing loop is a wire connected to the sound system that circles a room and transmits the sound that can then be picked up by the telecoil in a user’s hearing aid or cochlear implant. The telecoil, a small copper wire that is an option in most hearing aids and is built into cochlear implant processors, functions as a wireless antenna to the sound system. 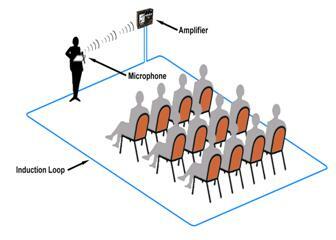 Patrons who do not have a telecoil in their hearing aids will need a headset that will be provided by the theater. 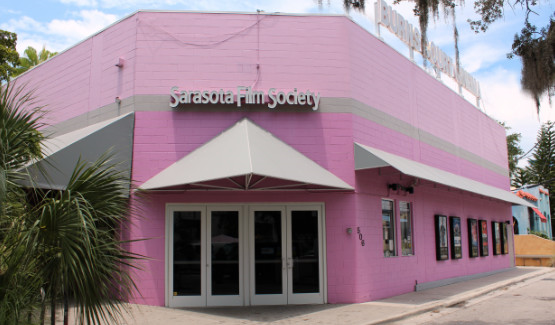 Numerous donors provided funds for the system including The Hearing Loss Association of America, Sarasota/Manatee; the Edward K. Roberts Emerging Needs Fund of the community Foundation of Sarasota County; Joel Fried and an anonymous donor. In the past two months, the Chapter has been advocating on a local and national basis for Beta testing of a hearing loop at the order stations of Starbucks. The team of JoAnne DeVries, Maria Anderson and Richard Williams put together educational packets on looping and visited managers of Starbucks in the two county area to explain the needs of the hearing loss community in simply ordering a latte and muffin over the din of the machines, the music and the conversations. It was learned the managers can do little to initiate change. The team followed up by sending packets to each Board member at their own business addresses (people like NBA’s Bill Bradley and former Sec of Defense Gates) as well as CEO Howard Schultz and others at the home office. You can certainly help by explaining how much a hearing loop would help to the manager or the barista when patronizing Starbucks. People with hearing loss love Starbucks; however, the noise from music, customers and espresso machines make it a difficult and frustrating experience to simply place an order. and a significantly better customer experience for those with hearing loss. The Sarasota/Manatee Chapter of the Hearing Loss Association of America has successfully advocated for improved communication access in more than 120 venues throughout our community and in the United States Supreme Court. 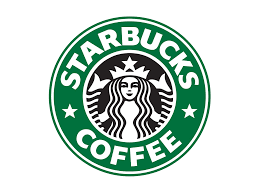 We ask that you consider installing a hearing loop in one or more of the 24 Starbucks stores in Sarasota and Manatee counties to evaluate its value to both Starbucks’ revenue and the hearing loss community. Forty-eight million persons in the United States, 20% of our population, report some level of hearing loss making it a public health issue third in line after heart disease and arthritis. Locally, more than 145,000 residents in Sarasota/Manatee counties are affected by this invisible condition. Starbucks’ recent “Choices” advertising campaign celebrates “those who work to include, rather than discriminate.” Grocery retailers such as Wegmans Food Markets in the northeast and Publix Super Markets in the southeast have chosen to “include” those with hearing loss by installing this technology at selected pharmacy, checkout and customer service counters. Every day, we have a choice. We hope you will choose to include those living with hearing loss. 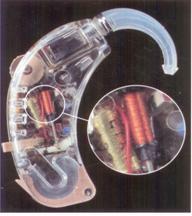 The attached packet contains useful information regarding induction hearing loops. I will be happy to answer any questions you may have. 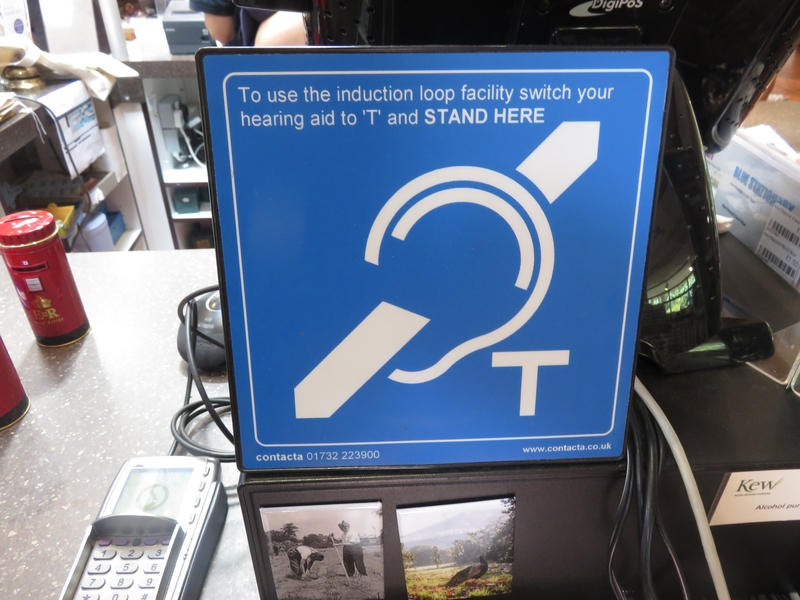 The Burns Court Cinema is undergoing a renovation which is an appropriate time to install a hearing loop. In 2012, an attempt to install a hearing loop without tearing up the floor led to difficulties in balancing the sound. What could better enrich the community but the ability to hear the film, an ability that is not quite there for 145,000 hard of hearing citizens of the two county area. Chapter members can thank Managing Director Nick Caras for considering looping the theatres. Unfortunately the cost of properly looping the theatres is $9,935 which is not within the budget of the Film Society. HLAA leadership has been working with foundations and individuals to receive a 50/50 grant and to raise other funds. 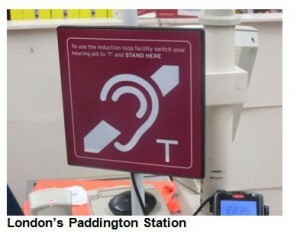 Also, Assistive Listening Device Locater http://www.aldlocator.com/ is equally helpful. Remember our Mission includes advocacy—a “thank you” goes a long way in reinforcing the looping of the community. Make a point to “thank” a team member at any facility where you use the loop. David Myers is an HLAA advocate and a psychology professor at Hope College in Holland, Michigan. He is the author of “A Quiet World: Living with Hearing Loss”. Mr. Myers is recognized as a champion of hearing loops and he recently wrote an article featured in The Wall Street Journal about his efforts to spread hearing loop technology in the United States. The story is an excellent way to address looping to friends and businesses that are not familiar with looping. Advocates are using the article as a reference to explain looping to corporations such as Starbucks to understand its use in business. The WSJ link is limited to subscribers so the story has been linked to the Chapter’s website and is found below in “read more”. But unlike my mother, I am served by new ear-opening technologies. My hearing aids suppress background noise and amplify only the sounds I need. I can wirelessly transmit phone calls and stereo music to them from my smartphone. I even looped my home TV room. With a simple press of a button, muffled sound becomes clear, thanks to the wireless speakers in my ears. In New York City, subway fare booths are now looped, as are most of the new Nissan taxis and several Broadway and Lincoln Center theaters, including the Gershwin and Rodgers. In Washington, D.C., hearing loops now include the chambers of the Supreme Court and the U.S. House of Representatives. On July 29 a committee of the U.S. Access Board recommended looping individual subway and railcars, if it proves technically feasible. It’s easy to find similar stories. One person, after first turning on his telecoil for the first time, told a friend of mine that it “felt like God was talking.” Margaret Newton, the business manager of suburban Chicago’s 882-seat Marriott Theatre, reports that after installing a hearing loop, she began to receive thanks from attendees after every performance. “I cannot begin to tell you the amazing difference this has made,” she says. 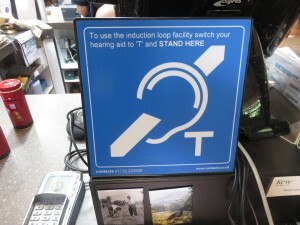 Chapter Member Doug Schuler saw this sign in the gift shop at the Royal Botanic Gardens in London. Wouldn’t it be great if every checkout point in the U.S. was looped? We have two Publix stores (Longboat Key and Venice Commons) and a lane at Whole Foods looped here in Sarasota County—it’s a start!